From your mountain vacation home at beautiful *Ridge Tahoe*, witness the breathtaking views of Carson Valley on one side and Heavenly Valley on the other. In winter, enjoy downhill skiing by taking the resort's private gondola to the Heavenly Valley Ski Resort. In the summertime, take advantage of the hundreds of miles of mountain trails and the sparkling blue water of Lake Tahoe! Fine restaurants and casinos are located throughout the area and are open year-round. 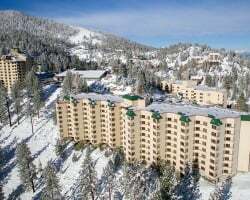 The Ridge Tahoe has amenities that include an indoor recreation complex with a pool, a weight room, racquetball courts, and a sports court for tennis and badminton. Among other resort features are a restaurant, a lounge, and a golf driving range. Beautiful area with mountain and valley views! Annual floating week! Inquire for more details! Suite includes a beautiful lake view! Buyer May Receive A Title Fee Credit, Inquire For Details! Lovely year round resort with endless activities for everyone! Floating usage! Inquire for details! Bring Best Offers! Beautifully located with mountain and valley views! Floating, prime week! Inquire for more details! Prime location with plenty of year round activities! Buyer may receive a title fee credit, inquire for details! 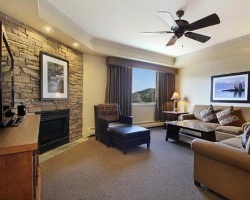 Luxurious accommodations surrounded by majestic mountains! Perfect location for the whole family! Buyer may receive a title fee credit, inquire today! Perfect option for outdoor lovers! Floating odd year week! Buyer may receive a title fee credit, inquire for details! Spectacular mountain retreat with stunning views! Buyer may receive a title fee credit, inquire for details! Customize your vacation by traveling when you want! Make an offer today! Buyer may receive a title fee credit, inquire for details! 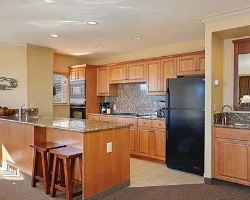 Comfortable suite with many amenities! Floating week! Motivated seller! Buyer may receive a title fee credit, inquire for details! Paradise found for outdoor enthusiasts! So much to see and do in the area! Buyer may receive a title fee credit, inquire for details! Floating even year week! 2019 maintenance fees paid to date! Buyer may receive a title fee credit, inquire for details! Lovely resort with beautiful mountain views! Floating week! Buyer may receive a title fee credit, inquire for details! With RCI membership, week exchanges for 75,000 RCI points! Annual floating week of your choice! Inquire for details! All-seasons resort for outdoor lovers! Pick your vacation dates with a floating week during spring and summer season! Inquire for details! Outdoor lovers paradise! Great 4 season resort with many activities year round! Floating week during spring and summer season! Inquire for details! Come explore the breathtaking scenery surrounding Lake Tahoe! Floating week! Buyer may receive a title fee credit, inquire for details! Great year round resort! Come see the beautiful mountain views! Buyer may receive a title fee credit, inquire for details! Beautiful area with mountain and valley views! Floating week! Buyer may receive a title fee credit, inquire for details! Scenic & fun mountain getaway! Yearly, floating summer season week! Buyer receives complimentary closing credit; inquire for details!